DP-2054 Error displayed when trying to add report widgets via a limited-permission agent account. DP-2053 Double clicking on a custom dashboard causes the report interface to bug/blank out, and you must refresh/re-click other tabls. DP-2049 Sporadically when changing the variable field type in the stat builder, the change is not retained and the builder bugs out. DP-2047 Multiple issues with the stat "Avg time till first response". Hierarchy for sub-departments not shown properly. Column headings were missing. Values were not represented as rounded decimal values, but fractions. DP-2040 When creating new custom report dashboard, interface will result in an error when checking "All Agents View"
DP-2031 Stat builder seems to bug out when saving a custom stat with a REGEXP query. 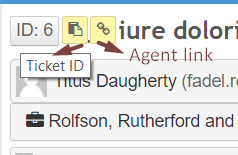 DP-2030 Using any custom field alias does not work unless referencing the tickets table. DP-1976 Additional unwanted HTML rendered when splitting by "Agent Name"
DP-2061 Enable cloud HTTPS on all custom URLs and enable auto-correction. DP-2043 Unable to attach any files to news articles, no attachment feature post creation or article. DP-2025 Add setting a flag for particular specific agents, instead of all or none. DP-1937 Database Integrity Fix Problem: "Fix-schema: Unknown database type enum requested. DP-1922 Further errors resolved with the database integrity fixes. DP-1892 Set languageID in widget code to currently selected language in portal. DP-1778 Improvements to realtime events when using the "Deskpro Notification Service" feature. DP-150 Issue with communicating between two helpdesks, tickets not routing back into eachother. DP-2084 When creating a linked ticket, the parent tickets subject line should be copied into the new child ticket. 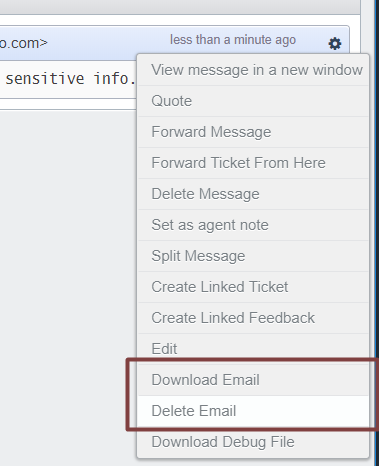 DP-2016 Under Admin > Emails> Email Accounts > Advanced Settings > Disable attachment permalink list at the bottom of email message text - hide all attachment links in agent replies. DP-1954 Add checkbox to Auth & SSO > AD/LDAP to disable the ability to sync user profiles. DP-1942 Within the ticket messages view, "Download Original Email" and (delete permissions required) "Delete Original Email"
If you are using Deskpro Cloud, we will be releasing this update shortly to you.